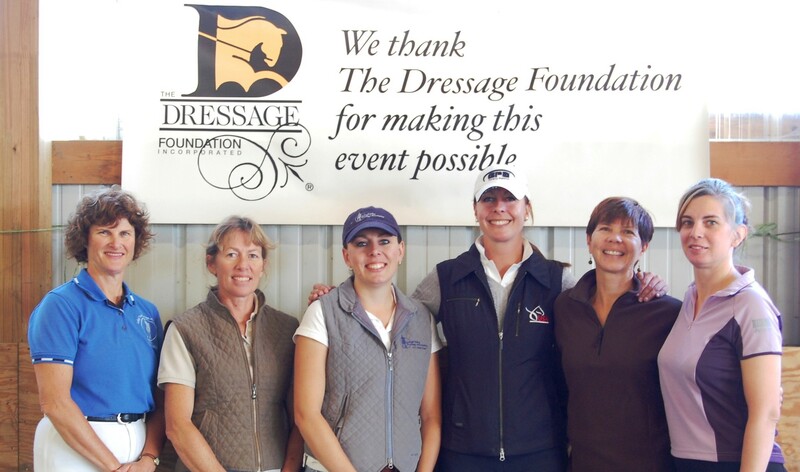 Friends and colleagues of Evie Tumlin have established the Evie Tumlin Memorial Fund for Region 9 Adult Amateurs at The Dressage Foundation. 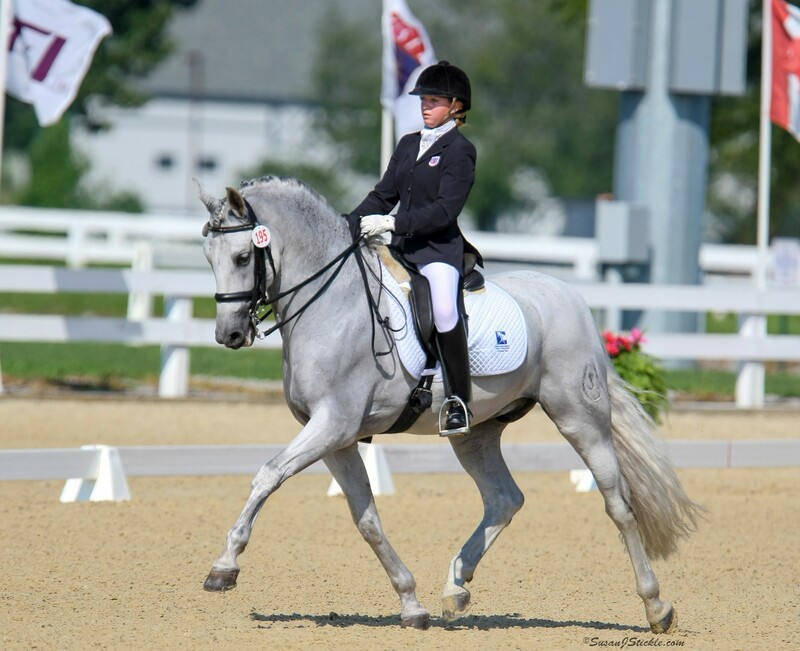 The new Fund, created in memory of Evie, will provide grants to Adult Amateur riders who currently reside in USDF Region 9, to aid in their development in dressage. Evie Tumlin was an integral part of her Region 9 dressage and eventing community. Throughout her years of serving and helping others, she touched many lives and helped to raise several generations of young men and women who loved horses. 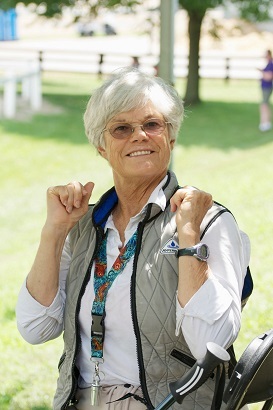 Among her many accomplishments, Evie was the founder of the Mississippi Eventing and Dressage Association, was named the 2010 Region 9 Horseperson of the Year, was a USDF L Program Graduate, received her USDF Silver Medal, and was a member of The Dressage Foundation’s Century Club. She was a popular and much-loved instructor and trainer in Mississippi, and even worked with the Oxford Mounted Police unit. 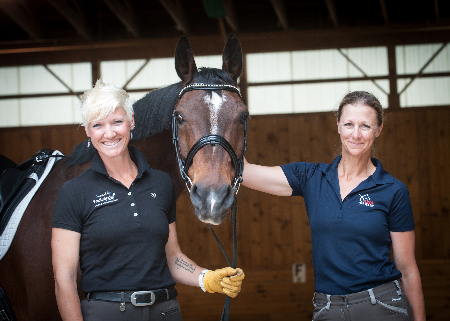 Grants will typically range in the amount of $250 - $750, to be used for educational experiences that will further the applicant’s knowledge of dressage and are in addition to the applicant’s typical training plan. These events may include camps, clinics, riding lessons, etc. Additional consideration will be given to riders who also participate in eventing, as well as to those who have a history of volunteer work related to dressage and/or eventing. The grant application deadline will be March 1st of each year. Gifts of any amount are welcome to help establish TDF’s Evie Tumlin Memorial Fund for Region 9 Adult Amateurs. Donations by check can be mailed to TDF’s office at 1314 ‘O’ Street, Suite 305, Lincoln, Nebraska, 68508. Donations can be made by credit card online at www.dressagefoundation.org or by calling TDF’s office at (402) 434-8585. For more information about this Fund, visit www.dressagefoundation.org or contact Jenny Johnson at (402)434-8585 or jenny@dressagefoundation.org.